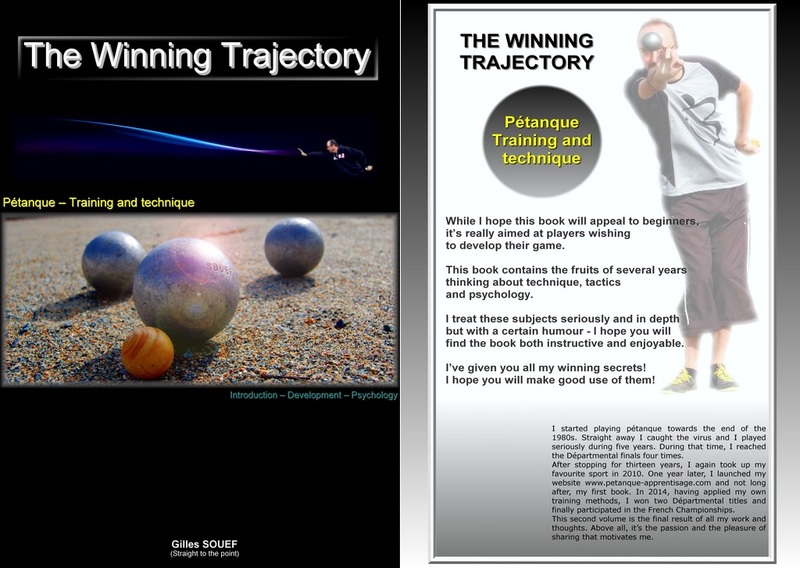 A new petanque book that covers technique and tactics has been published by French player Gilles Souef. It has been translated into english and is now available to buy via Gilles Souef’s website. While I hope this book will appeal to beginners, it’s really aimed at players wishing to develop their game. This book countains the fruits of several years thinking about technique, tactics and psychology. I treat these subjects seriously and in depth but with a certain (in French) humour. I hope you will find the book both instructive and enjoyable. I’ve given you all my winning secrets – I hope you will make good use of them! I started playing pétanque towards the end of the 1980s. Straight away I caught the virus and I played seriously for five years. During that time, I reached the Départmental final four times. This second volume is the final result of all my work and thoughts. Above all, it’s the passion and the pleasure of sharing that motivates me.